We visited the beautiful Roger Clap Innovation School in Dorchester this morning. A group of 150 very energetic and curious K through 5th graders, asked a lot of questions about our instruments, how long Know Orchestra has been playing together, and how we make a sound on our instruments. And again we got the best groove accompaniment for one of our Ratty tunes. Thanks Roger Clap! 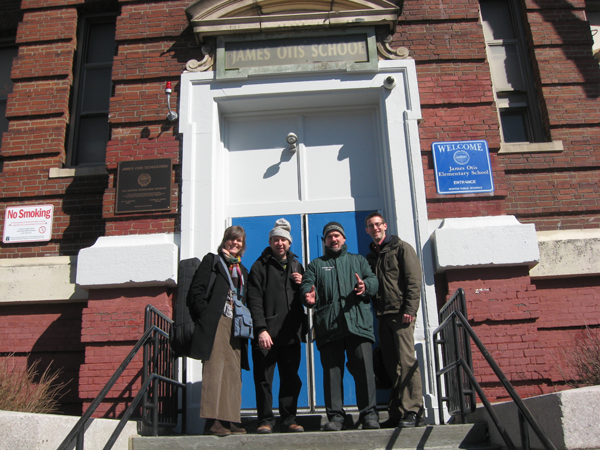 We had the great pleasure of visiting the James Otis School in East Boston this morning, and what a blast we had. We played for about 100 kids in 3rd, 4th, and 5th grades, and they were completely engaged and curious. They also might have provided us with the most grooving clap and tap accompaniment we have had to date! Our visit marked the first school concert of nine made possible by our Kickstarter supporters, and we are so grateful to you all. This project is a complete joy to be a part of and we are already looking forward to working on the next one. January 2014 - Kickstarter Campaign Successful! Thanks to our many wonderful supporters, we have reached and exceeded our goal of raising enough funds to play at five underserved Boston area schools. We will now be able to perform at nine schools! This will give us a chance to share our love of music with even more kids. 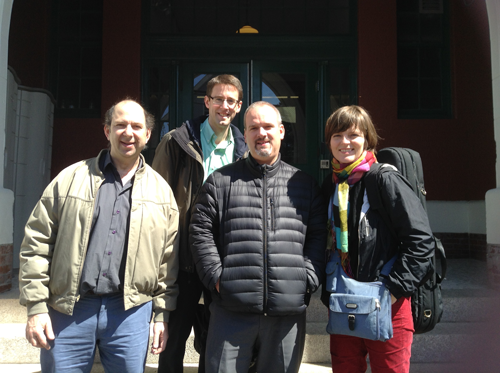 Please join us for our Rewards Concert to celebrate on Sunday, March 9th, at 3pm at the Scandinavian Cultural Center in West Newton, MA. 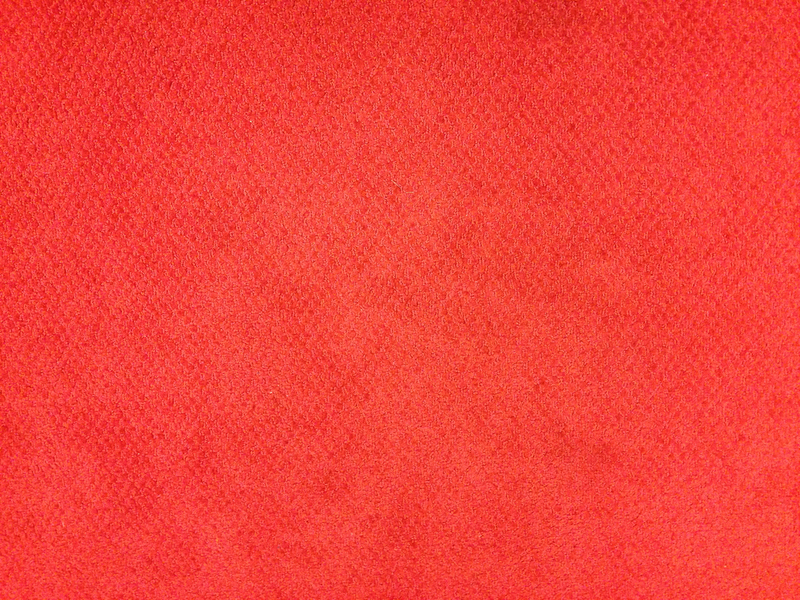 December 7th 2013 - We have a launch! After a couple of months of preparation we are happy, and a bit nervous, to announce that our Kickstarter campagin has launched. We are really hoping our campaign will be successful. It is an opportunity for us to develop our childrens show even further, and more importantly it is an opportunity for children in underserved communities to hear live music at their schools. We have more schools on our waiting list, and who knows, if we exceed our fundraising goal we might be able to add those schools to our list. If you are interested in supporting us in brining live music to these schools, please visit our Kickstarter page here. Thank you! Know Orchestra is excited to start a new project with music for children. We have created a fun and interactive show for children ages 3 to 9, and our goal is to offer the show for free to underserved communities. In order to make this happen we are about to launch a Kickstarter campaign with a goal of raising $2,900 to bring our show to five different communities and schools. We spent the last few months performing the show for schools in the metro Boston area, had a lot of fun along the way, and we look forward to continuing. We will post the link to our Kickstarter campaign here as soon as it goes live, and we very much appreciate your support. 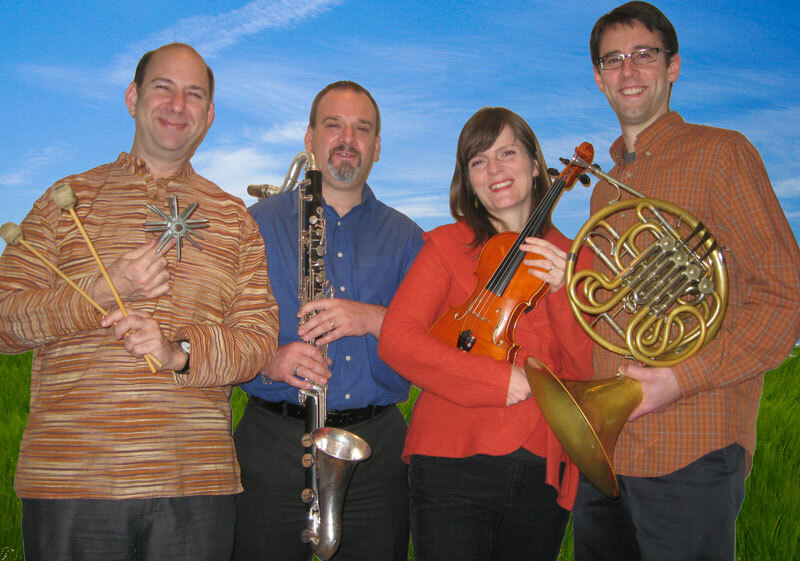 Know Orchestra’s shows for children emphasize active participation and audience engagement. Students will be asked to help the ensemble count the meter of a waltz, speak words in rhythm, and move in different ways to music. Child-friendly musical content will include train music and the story of Ratty the Musical Rat. The idea of theme and variation will be explored in a segment which encourages the audience to sing, laugh, and listen carefully to different ways “Twinkle Twinkle Little Star” can be interpreted. The audience will leave the performance with a better understanding of orchestral instruments and be inspired to continue their exploration of the wonderful world of music.